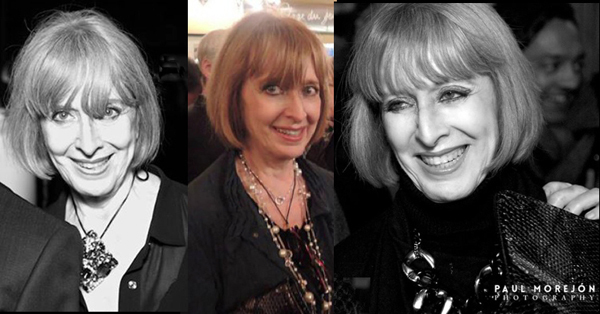 Posts Tagged "Helen Oppenheim 2014-16"
Home » Posts Tagged "Helen Oppenheim 2014-16"
Here’s three very flattering photos of me, Helen Oppenheim, all taken at Nancy & Harry’s ’70s/’80s Fashion Reunion Parties by Paul Morejón from 2014 to 2016 at Parlour and Café Un Deux Trois. The photos are so amazing, I thought to myself if he can take photos this great of me, imagine what he can do photographing gorgeous young models for me at shows I could not make for New York Fashion Weeks. I was right. You can see his New York Fashion Week photos archived forever on my website – www.helenoppenheim.com – most albums for 2016, some are photos by me, but many are by the photographer who can flatter anyone. Maybe you.